The global numbers are undeniable: the video has garnered more than 14 Million views in 18 days across YouTube and Facebook, and the track has gone #3 on Spotify’s Viral Global Top 50 and #4 on Spotify’s Viral US Top 50. February 22, 2018, NEW YORK, NY -- Bad Wolves’ cover of The Cranberries’ intergenerational hit single “Zombie” continues to dominate rock and metal charts around the globe, with all proceeds from track donated to lead singer Dolores O’Riordan’s three children. Today, the band reveals the official “Zombie” music video, directed by Wayne Isham[Avenged Sevenfold, Megadeth, Motley Crue]. It’s a powerful testament to the Cranberries’ singer, who was set to record with the band on the day of her tragic passing.The new video features an unreachable woman fully-realized in O’Riordan’s iconic gold from the original “Zombie” video. Throughout the clip, she and frontman Tommy Vext try to touch each other but cannot. She leaves golden handprints with each attempt to touch. “For me Dolores was the strongest female voice in Rock for the past three decades,”explains Dan Waite, Managing Director Europe for Eleven Seven Label Group and the artist’s personal friend. “I have very bittersweet feelings about the last two voice messages Dolores left me on the day she passed about recording 'Zombie' with Bad Wolves. She was telling me Bad Wolves version was “awesome” and she could not wait to get into the studio, however ultimately her voicemails have brought comfort to her Mother Eileen and her family as they heard her messages joking and talking passionately about music, her children, and future plans. Originally released in 1994 following the IRA bombing of Warrington, The Cranberries’ “Zombie” hit #1 across the globe, including on the Billboard Alternative Songs charts. The song returned to the top ten on the US Rock Charts shortly after news of her passing was announced. That same week Bad Wolves released their version of “Zombie” in her honor. In just four weeks, the cover has garnered over 3 Million combined streams (across YouTube, Spotify, and Apple Music) and continues to climb the charts. 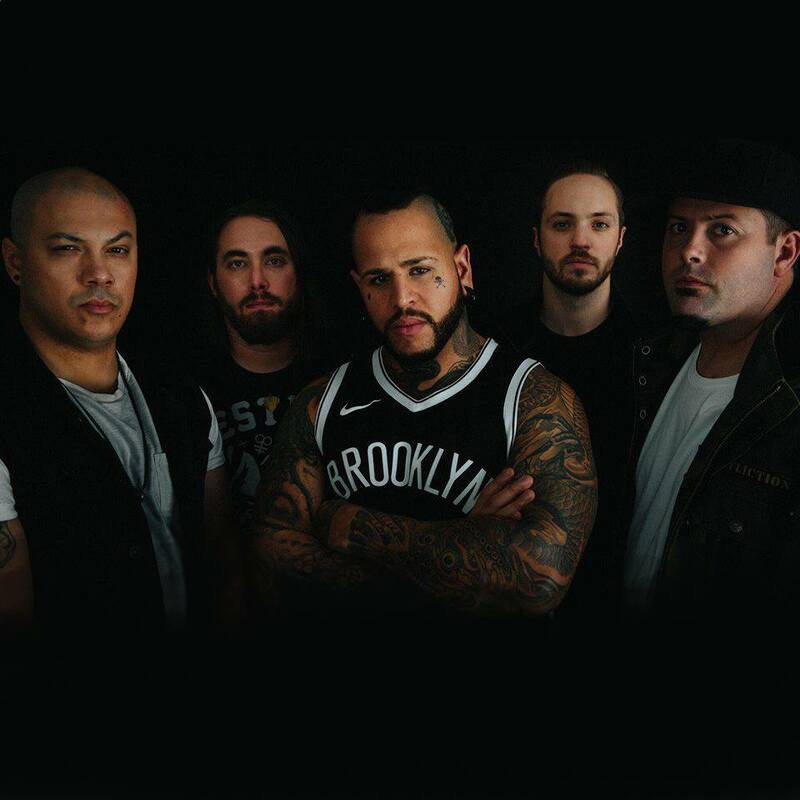 Bad Wolves “Zombie” is currently Top-20 at U.S. Rock Radio and sits atop rock and metal iTunes charts around the world. Papa Roach have revealed the new music video for “Born For Greatness” exclusively with Apple Music. “This video is to showcase to the world that no matter your struggle and/or adversity, you are born for greatness,” says Papa Roach frontman Jacoby Shaddix. Featuring galvanizing performances from Aaron “Wheelz” Fotheringham, Jen Bricker, and Jean Sok - three talented individuals who refuse to be limited by physical challenges - the video is a testament to the limitless possibilities within all of us. Aaron “Wheelz” Fotheringham was born with spina bifida, a birth defect of the spinal cord. Fotheringham has gone on to become a professional WCMX (wheelchair motocross) athlete. He completed the first ever wheelchair front flip while touring the world with Nitro Circus. Jen Bricker was born without legs and her heart on the opposite side of her chest. “Never say can’t” is her motto. The professional aerialist has toured the world and performed with global superstars including Britney Spears. Jean Sok is a breakdancer with only one leg. Employing “b-boy” style techniques, Sok incorporates his crutches into his moves, using them as an extension of his arms. He gained international acclaim as a performer for Cirque Du Soliel’s Michael Jackson: The Immortal World Tour and Michael Jackson One. Directed by Bryson Roatch, “Born For Greatness” is the latest single from the band’s ninth LP, Crooked Teeth (out now on Eleven Seven Music). Papa Roach are currently wrapping up their Australian tour. They are set to tour with A Day To Remember in February and March before launching into their North American headline tour with support from Nothing More and Escape the Fate on April 5th. All dates are listed below. For tickets and VIP packages, visit www.paparoach.com. Cranberries singer Dolores O’Riordan was set to record vocals for hard rock band Bad Wolves’ cover of “Zombie” this past Monday, January 15th, the day of her tragic passing. Today the band release their version of “Zombie” in her memory, with proceeds going to O’Riordan’s three children. Vext further discusses the decision to release The Cranberries’ generation-defining song in an exclusive interview with Rolling Stone. Listen to Bad Wolves cover of “Zombie” HERE. Read the band’s original statement on Facebook and Twitter. NEW YORK, NY December 4, 2017 - Fresh off their Sold Out European tour, Papa Roach are coming back stateside, hitting the road in support of their critically acclaimed ninth studio effort, Crooked Teeth. The tour kicks off on April 5th in Raleigh, NC and runs through May 13th, wrapping up in Corpus Christi, TX. The tour will be hitting twenty five cities featuring special guests and 2018 Grammy Award Nominee Nothing More, with support from Escape the Fate. Papa Roach’s latest album Crooked Teeth (out now on Eleven Seven Music) debuted at #1 on Billboard's Top Hard Rock Albums Chart, #4 on the Top Rock Albums Chart, and Top 20 in the Top 200 earlier this year. The album has accumulated over 100 million global streams on Spotify since May 2017, driven by the lead single “Help" - which firmly held the #1 spot at Rock Radio for 6 straight weeks - plus additional album hits including "Periscope" feat. Skylar Grey, “American Dreams”, and new single “Born For Greatness”. Today, Papa Roach share an epic live video for “Born For Greatness”, shot in multiple cities throughout their European tour. Nothing More will be joining the tour as direct support. The San Antonio-based rock act has just been nominated for three Grammy awards, including Best Rock Song and Best Rock Performance for their lead single, “Go To War”, as well as Best Rock Album for The Stories We Tell Ourselves (out now on Better Noise Records), which debuted at #3 on the Billboard Rock Albums chart. The brand new lyric video for their upcoming single “Do You Really Want It” is out today and can be found here. Rounding out the lineup is Escape the Fate who will be releasing their fifth studio album I Am Human on February 16th, 2018 on Better Noise Records. The band has released a lyric video for the track “Do You Love Me?”, which can be viewed here. I Am Human is now available for pre-order. VIP packages are on sale tomorrow, December 4th. For more information on Papa Roach’s VIP packages, click here. Nothing More’s VIP packages are available here. General on-sale will begin on Friday December 8th at 10 AM local time.